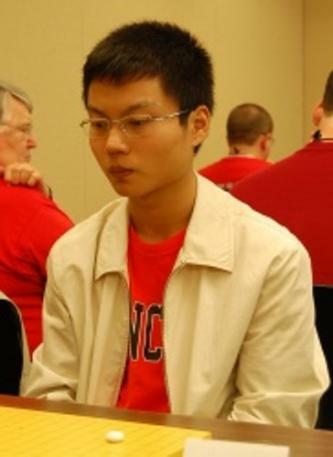 Roln111 (Iliya Shikshin) 8d and zchen (Michael Zhaonian Chen) 7d are both famous players on KGS. They have similar styles: powerful attackers, good at finding unexpected plays, like using thickness to attack. I remember a couple years ago when Michael played under another handle darkmage, in his profile info he had this saying: "It's okay to lose because of the overplay. Don't lose because you were afraid and tried to hide". And he fervently follows this idea in his games. 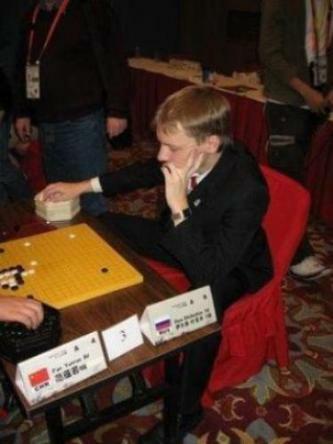 But sometimes it works against him, as an example, his last game against Iliya. Black move 85 was clearly overplay. zchen ignored 2 consecutive moves in the center. Eventually his weak group was killed and he had to resign not even entering into the end game. As for myself, I prefer pragmatic and patient style, positional judgement to attacking. Although, aggressive fighters attract more fans and their games are much more spectacular. Do you believe there might be a superiority of one particular style in future? Thanks for the game! As for overplay, it is by definition an unreasonable way to play, where you play beyond your capacity, and rely more on luck, which you may or may not appreciate, depending on your personality (i.e. your risk aversion, and the subsequent enjoyment of taking risk). It's therefore hard to tell which style is the most effective, as luck cannot, by definition, be logically assessed (as it can favor either side). As a training method however, I believe that overplaying is excellent. It forces you to find creative sequences, to learn to sacrifice, to think beyond your capacity, and therefore help expand it. Recognizing where and why you were lucky, or on the contrary how you got punished for a certain idea, are very effective ways to improve one's go, both in strategic and tactical terms.